Clouds may develop as a consequence of convection initiated by heat from forest fires, wildfires or volcanic eruption activity. Clouds that are clearly observed to have originated as a consequence of localized natural heat sources, such as forest fires, wildfires or volcanic activity and which, at least in part, consist of water drops, will be given the name relevant to the genus followed, if appropriate, by the species, variety and any supplementary features, and finally by the special cloud name “flammagenitus”, (for example, Cumulus congestus flammagenitus or Cumulonimbus calvus flammagenitus). 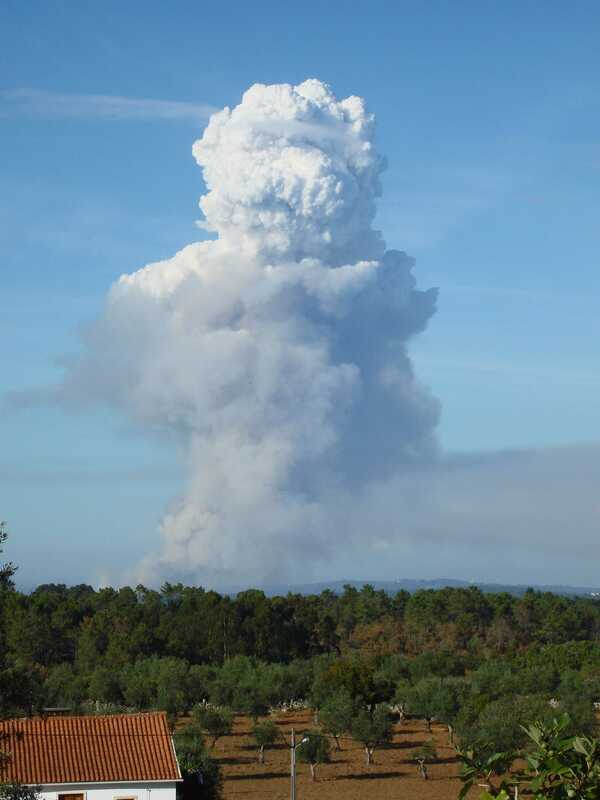 (Note: Cumulus flammagenitus is also known by the unofficial, common name, 'pyrocumulus').